In just a few days, the next phase of the console wars will begin in earnest with the launch of the Xbox One. While people are excited about the launch now, this hasn’t always been the case. The Xbox One got a nasty reception when information was first released. The story of the rise, fall and redemption of the Xbox One can provide a lot of lessons for business owners. This post will use the situation to illustrate four lessons for social media marketing. The story of the Xbox One journey across the spectrum of public opinion starts with the the first release of solid information back in April of 2013. As reports came out from game developers who were working on games for the system and releases came out from Microsoft, the initial public reaction to certain features on the Xbox One were negative. For example, many had concerns over the reports that said the console would have to be constantly connected to the internet, that it wouldn’t work with used games, and that the Kinect camera had to be connected and turned on at all times. For its part, Microsoft would often say the the plans weren’t finalized whenever they started getting comments from gamers who were angry at whatever piece of information had been released. Over the next half of year, Microsoft reversed course on many of these issues and the reaction has been positive. The lesson for business owners and social media marketers is that announcing large events or product launches in advance gives marketers a chance to use the social media for market research and to make changes. It Microsoft had kept a Apple-esque lock on all information regarding the Xbox One, by the time people learned about the features, it would be too late to change any based on poor public reaction. This can be applied to other situations like corporate events or contests. Generating buzz before the official start gives marketers time to make adjustments based on early opinions. Some business owners and a larger number of employees question the benefit of having a company policy regarding social media. A common question is “What’s the worst that can happen?” Former Microsoft Studios creative director Adam Orth answered that question when he took to Twitter to discuss some of the negative reactions. People were already upset with the possibility of an alway connected console, so insulting them and telling to “deal with it”, was not the message Microsoft wanted to put out. After the predictable backlash, Microsoft had to go on the defensive even more. Unfortunately for Microsoft, people were offended and the negative feedback on all Xbox One-related announcements continued until Microsoft changed their product plan. All of this could have been avoided if Microsoft had a clear policy regarding what developers could say about the company or their assigned projects on social media. – Microsoft removed the restrictions that they would have originally imposed on playing used or loaned games. – Xbox One no longer requires an always-on internet connection to work. – It no longer requires the Kinect (camera device) to be connected to the system (though it still comes in the package). Each of these issues could have been a deal breaker for potential console buyers so taking the time to use fan responses on social media for research may have saved the Xbox One. With only a few days remain until the Xbox One launch and gamers are getting many of the things that they ranted about during the past six months. 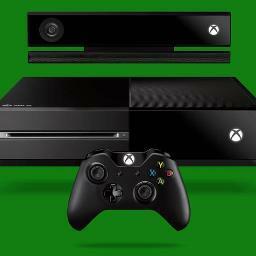 The result has been a much greater interest in the Xbox One and gamers are lining up to get one the holidays top items. It’s important to remember that this wouldn’t have been the case if Microsoft simply chose to write off the opinions of people on social media and the internet. It’s true that people tend to be angier online than they would be in person, but that doesn’t mean that angry people don’t have a point. Ironically the times when business owners need to listen to their fans the most is when the fans are saying the things they don’t want to hear. No business owner likes to read negative things about their business on social media networks, but listening to these opinions is the first step to making a business more appealing to those who stayed away before. The fruits of Microsoft’s efforts will be evident after the holidays, but it seems clear that the company has managed to make the most of the opportunities it had to listen to the opinions of the customers. It’s easy to think of social media as a tool for advertising, but there is a lot that a fanbase can do for an organization, if the business is willing to listen.